This site used to be at http://old.ke3vin.org/wx/ but now lives here on my wiki. Thank you Anthony for your research and helping make this web site better! You should have a weather alert radio!! Click http://www.nws.noaa.gov/nwr/ for more details. This is a composite plot of the radar summary, echo tops, storm movement, TVS and MESO signatures and watch boxes. The Unisys Weather site has the best "free" source of echo tops I have been able to find. For more information visit Unisys Weather Radar Data Details. In meteorology, convective available potential energy (CAPE), sometimes, simply, available potential energy (APE), is the amount of energy a parcel of air would have if lifted a certain distance vertically through the atmosphere. CAPE is effectively the positive buoyancy of an air parcel and is an indicator of atmospheric instability, which makes it very valuable in predicting severe weather. K Index is a measure of the thunderstorm potential on an index scale. NOAA Data Bouy reports for <a href="http://www.ndbc.noaa.gov/station_page.phtml?$station=41009">41009 - CANAVERAL 20 NM East of Cape Canaveral, FL</a> and associated <a href="http://www.ndbc.noaa.gov/data/Forecasts/FZUS52.KMLB.html">NWS Marine Forecast</a> for this area. To have weather alerts sent to you by email or pager you can choose from <a href="http://www.stormnow.com">StormNow</a>, <a href="http://fast-cgi.weather.com/wireless/arch/cobrand.html">The Weather Channel</a> (pager)</a> and <a href="http://www.weathertap.com/">WeatherTap</a> or some free sources of weather alerts and forecasts can be found at <a href="http://www.srh.noaa.gov/cte.htm">National Weather Service</a>, <a href="http://www.emergencye.com/">The Emergency Email and Wireless Neywork</a>, <a href="http://www.weather.com/services/">The Weather Channel</a> (desktop and email alerts)</a> and <a href="http://www.NewsChannel2000.com/orl/weather/stories/weather-20000214-161220.html">News Channel 2 - Orlando</a>, <a href="http://iwin.nws.noaa.gov/emwin/index.htm">EMWIN</a>, <a href="http://www.floridaforecast.com/cgi-bin/WebObjects/FloridaForecast.woa/wa/page?componentName=StormWarn">Floridaforecast.com</a> free warnings for Citrus, Hernando, Hillsborough, Manatee, Pasco or Pinellas counties</a>, <a href="http://www.impactweather.com/severe.html">ImpactWeather</a> and <a href="http://www.news4jax.com/severeweather/index.html">WJXT-TV Ch. 4</a> Jacksonville, FL weather alerts. <a href="http://www.nws.noaa.gov/">National Weather Service</a> Advisories for Florida are <a href="http://iwin.nws.noaa.gov/iwin/fl/warnings.html">here</a>. The Florida statewide roundup can be found <a href="http://autobrand.wunderground.com/US/FL">here</a>. Travel weather and airport delays can be found <a href="http://www.inscoe.org/old/load.cgi?itinerary">here</a>. The <a href="http://www.weather.com">Weather Channel</a> has some great images. 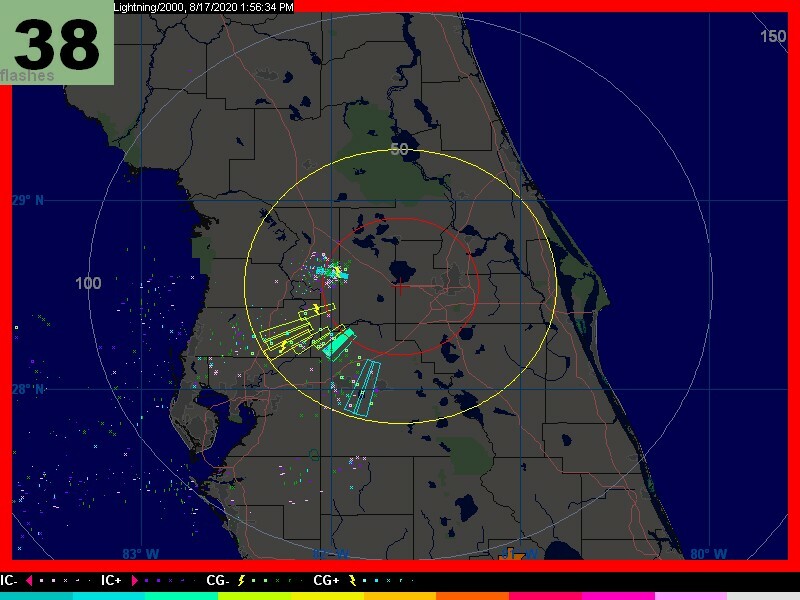 Also check out the following resources: <a href="http://www.wunderground.com/">Weather Underground</a>,<a href="http://www.intellicast.com/">Intellicast</a>, <a href="http://www.weatherforyou.com/weather/Florida/state.html">Weather For You: Florida</a> weather information</a>, <a href="http://www.accuweather.com">AccuWeather</a>, <a href="http://cnn.com/WEATHER/">CNN Weather</a>, <a href="http://www.goes.noaa.gov/">NOAA GOES Satellite Imagery</a>, <a href="http://iwin.nws.noaa.gov/">National Weather Service - Interactive Weather Information Network (IWIN)</a>, <a href="http://www.srh.noaa.gov/smg/">Spaceflight Meteorology Group</a>,<a href="http://www.earthwatch.com">EarthWatch</a>,and <a href="http://www.nws.noaa.gov/im/more.htm">another hundred or so commercial weather resources</a>. If you are interested in the SKYWARN program or storm prediction check these out: <a href="http://www.skywarn.org/">National Skywarn Page</a>,<a href="http://mailman.qth.net/mailman/listinfo/skywarn">The Skywarn List</a>, <a href="http://www.srh.noaa.gov/mlb/hwofiles/about_skywarn.html">NWS MLB Skywarn</a>, <a href="http://iwin.nws.noaa.gov/emwin/index.htm">NOAA - Emergency Managers Weather Information Network</a>, <a href="http://www.earthwatch.com/STORMWATCH/stormwatch.html">StormWatch</a>, <a href="http://www.met.tamu.edu/weather/warning.html">Texas A&M University weather warnings</a>, <a href="http://www.met.tamu.edu/weather/">Texas A&M University CONVECTIVE FORECAST CENTER - "Your source for severe weather information"</a>, <a href="http://cirrus.sprl.umich.edu/wxnet/radsat.html">University of Michigan Weather's Radar & Satellite page</a>, <a href="http://www.stormdisplay.com">StormDisplay</a>. If you are into storm chasing then these links are for you: <a href="http://www.stormtrack.org/">Storm Track</a>, <a href="http://listserv.uiuc.edu/wa.cgi?SUBED1=wx-chase&A=1">The WX-CHASE email lists</a>,<a href="http://listserv.uiuc.edu/wa.cgi?SUBED1=wx-talk&A=1">The WX-TALK email lists</a>. Marine bouy and forecasts: <a href="http://www.ndbc.noaa.gov/rmd.shtml">NWS Interactive Marine Observations</a>, <a href="http://aa.usno.navy.mil/AA/data/docs/RS_OneDay.html">Sun and Moon Rise and Set Times</a>, <a href="http://tbone.biol.sc.edu/tide/sitesel.html">Tides for the Florida Coasts</a>. Fire weather: <a href="http://www.nifc.gov/firemaps.html">Current Fire Weather Forecast Maps</a>,<a href="http://fire.boi.noaa.gov/">National Fire Weather Page</a>,<a href="http://www.spc.noaa.gov/products/fire_wx/">SPC Fire Weather Forecasts</a>,<a href="http://fermi.jhuapl.edu/avhrr/gallery/fire/fire.html">Satellite Observations of Forest Fires</a>,<a href="http://www.fs.fed.us/land/wfas/wfas12.html">Keetch-Byram Drought Index</a>,<a href="http://www.fs.fed.us/land/wfas/wfas7.html">Wildland Fire Assessment System Fire Weather</a>,<a href="http://www.srh.noaa.gov/mlb/fireweather.html">NWS MLB Fire Weather Forecasts & Related Links</a>,<a href="http://fire.boi.noaa.gov/FIREWX/MIAFWFMLB.html">EAST CENTRAL FLORIDA FIRE WEATHER FORECAST</a>. Climate and Atmospheric resources: <a href="http://www.noaa.gov/">National Oceanic and Atmospheric Administration</a>,<a href="http://uswrp.mmm.ucar.edu/uswrp.html">US Weather Research Program</a>,<a href="http://www.atmos.uiuc.edu/">University of Illinois at Urbana-Champaign Department of Atmospheric Sciences</a>,<a href="http://www-airs.jpl.nasa.gov/">NASA JPL Atmospheric Infrared Sounder</a>,<a href="http://www.pmel.noaa.gov/toga-tao/el-nino/nino-home.html">El Nino Theme Page</a>,<a href="http://sealevel.jpl.nasa.gov/science/jason1-quick-look/index.html">NASA JPL El Nino/La Nina Watch</a>,<a href="http://www.drought.noaa.gov/">NOAA's drought information center</a>, <a href="http://www.drought.unl.edu/index.htm">National Drought Mitigation Center</a>, <a href=" ">Drought Severity Index</a>. Astronomy & Sky obervations: <a href="http://www.skypub.com/">Sky & Telescope Online</a>. Space weather and Solar Flux: <a href="http://www.srh.noaa.gov/smg/">Spaceflight Meteorology Group</a>,<a href="http://www.pafb.af.mil/45og/45ws/ws1.htm">45th Weather Squadron, Cape Canaveral Air Station</a>,<a href="http://www.sel.noaa.gov/forecast.html">Current Solar Forecast</a>. Earthquake and geo-related measurement: <a href="http://earthquake.usgs.gov/">National Earthquake Information Center</a>,<a href="http://earthquake.usgs.gov/current_seismicity.shtml">Current Earthquake Info</a>,<a href="http://earthquake.usgs.gov/neis/bulletin/bulletin.html">Near-Real Time Earthquake Bulletin</a>,<a href="http://geohazards.cr.usgs.gov/welcome.html">Geohazards</a>,<a href="http://www.discovery.com/news/earthalert/earthalert.html">Discovery Channel - Earth Alert</a>,<a href="http://www.earthquake.com/">The Global Earthquake Response Center</a>,<a href="http://www.sfgate.com/chronicle/special/quakes/contents.html">Earthquake preperation and safety</a>,<a href="http://www.abag.ca.gov/bayarea/eqmaps/eqmaps.html">Association of Bay Area Governments earthquake maps and information</a>,<a href="http://quake.wr.usgs.gov/more/index.html">Earthquake Frequently Asked Questions</a>,<a href="http://www.ngdc.noaa.gov/seg/hazard/hazards.shtml">NOAA Natural Hazards Data Center</a>,<a href="http://www.gpc.peachnet.edu/~pgore/seismic.htm#current">Seismic Resources on the Web</a>.